CINCINNATI -- Hamilton County's coroner released new details Tuesday about the shooting that killed four people , including the gunman, in Fifth Third Center last week. Dr. Lakshmi Sammarco said one of the victims was shot once, another was shot four times and another was shot seven times. Sammarco identified the victims who died as Richard Newcomer, 64; Luis Felipe Calderón, 48; and Prudhvi Raj Kandepi, 25. She said Calderón died at the scene and was not transported to the hospital. The shooter, according to police, was 29-year-old Omar Santa-Perez. "This was a guy who was intent on killing as many people as he could," Sammarco said, referring to the gunman. Sammarco said the shooter used at least two types of bullets based on the projectiles removed from the victims’ bodies. “We’re waiting for the firearms and ammunition evidence provided by (Cincinnati police) and we’ll have a little more information at that time,” she said. The coroner said Santa-Perez reloaded two or three times during the rampage at Fifth Third Center. The shooter was carrying a laptop bag across his body when he began firing a Taurus 9 mm semi-automatic handgun. 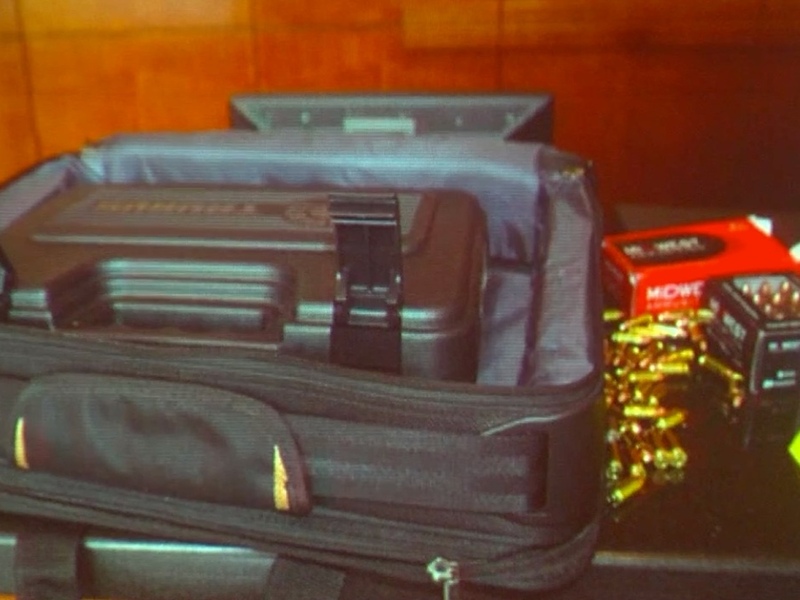 He had more than 200 rounds of ammunition in the bag, police previously reported. Sammarco thanked first responders and the staff at the University of Cincinnati Medical Center where two survivors of the Downtown shooting were treated. Sammarco also praised the response time from law enforcement. “The city of Cincinnati and our first responders couldn’t have done a better job. I’m very proud of what they’ve done,” she said. Sammarco said she watched the surveillance video from the shooting for the first time Monday. “He repeatedly shot the victims. There was no rhyme or reason. He was just looking to cause as much damage as he could,” she said. Sammarco said she questions if she would want the video released for the public to view. Sammarco said she knew one of the shooting victims: Prudhvi Raj Kandepi, who was born in the same rural Indian town as her. “Just knowing the traditions of the area, I’m sure that they’re just waiting to have him back there to follow the rites of passage,” she said. Sammarco said she never would have imagined a shooting of this magnitude in Cincinnati. “It’s a little different when it’s somebody who speaks the same language that you did growing up -- and was born in the same town and who was an immigrant here like I was,” Sammarco said. Sammarco said nothing on Santa-Perez’s body or in his belongings gave any indication about his motives. She said Santa-Perez was shot multiple times, including a gunshot wound to the head.